Today I will list a few interesting societies/groups focusing on preserving and propagating rare, endangered heirloom plants. The third picture above is of Broccoli ‘Calabrese’ an antique vegetable from before 1880. 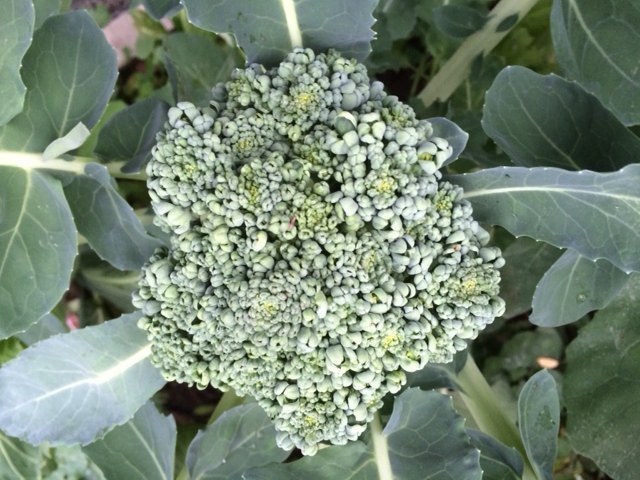 It originated in Italy and is productive, having many side shoots that add to the harvest. I am listing two societies concerned with preserving heirloom vegetables. Among squashes there are four species commonly grown as vegetables, Cucurbita maxima, C. mixta, C. moschata and C. pepo. 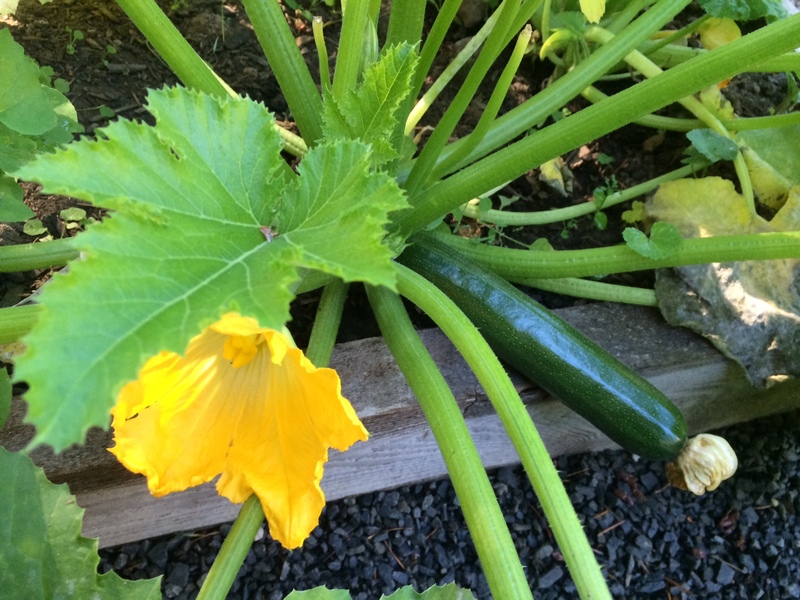 The top photo above shows an English heirloom summer squash, ‘Vegetable Marrow’. 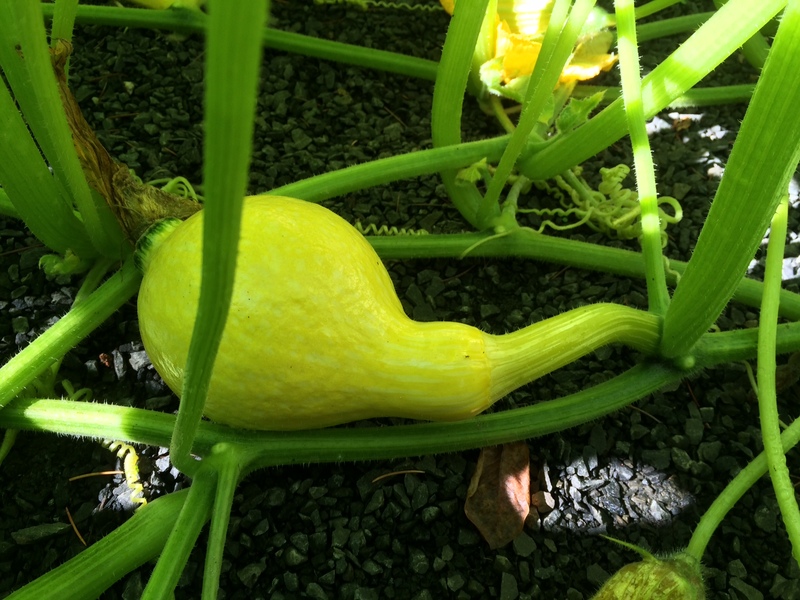 This variety is classified as a member of species C. pepo, the same species as spaghetti squash and zucchini. Varieties of C. pepo were grown in New England by Native Americans and ‘Vegetable Marrow’ arrived in England long ago, but I have not been able to ascertain the date of introduction. It is not included in Gerard’s The Herball of 1596. Fearon Burr, in his Book Field and Garden Vegetables of America, of 1865, described ‘Vegetable Marrow’, “The skin, or shell, is very hard when the fruit is perfectly ripened; flesh white, tender, and succulent, even till the seeds are ripe. It may be used at any stage of its growth.” Peter Henderson, in Gardening for Profit, published in 1865, classes it as a winter squash, perhaps because it continues to produce over a long season. His description follows: “The skin is greenish yellow; flesh white, soft, and of rich flavor; very distinct from all of the preceding.” (This variety was last on a descriptive list of several varieties). 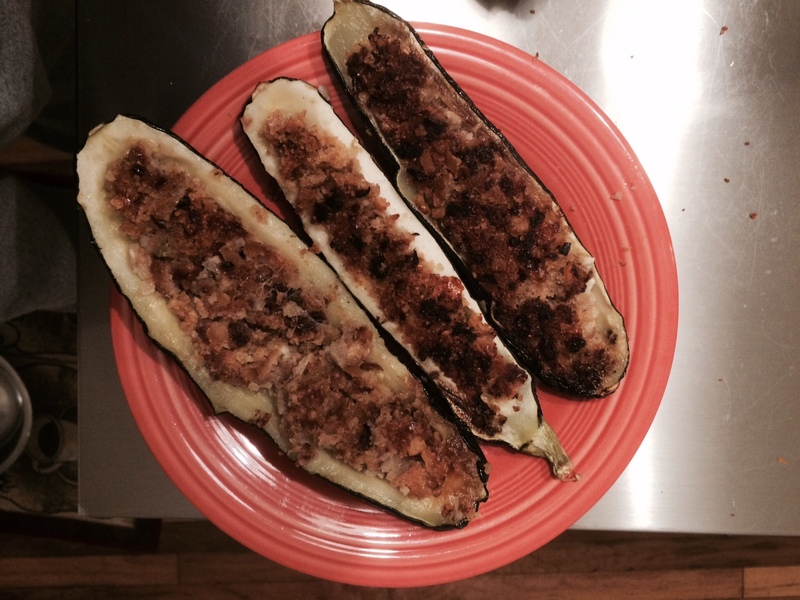 The second picture above is of stuffed and cooked ‘Vegetable Marrow’ from my garden. The English prepare the dish by stuffing the fruits with bread crumbs, onions, nuts and sometimes sausage. I must say it was absolutely delicious, with a very mild flavor and soft texture. I plan to grow it every year: it is a fairly small, bushy plant, produces early and heavily and tolerates cool as well as warm weather. The first fruits should mature in about 55 days. The plants in my garden grew to about three feet in all directions. The third picture above is of ‘Boston Marrow’. It is a member of the Cucurbita maxima species, which originated in the Andes. This species also includes buttercup, Hubbard and banana squashes, among others. A nineteenth century seed catalog from D.M. Ferry lists ‘Boston Marrow’ and gives a good description, “Of oval form; skin thin; when ripe, bright orange, flesh rich salmon yellow, very dry, fine-grained and for sweetness and excellence, unsurpassed; a very popular variety in the Boston Market.” Peter Henderson (1865) considered it as a “second early” squash, after ‘Yellow and White Scalloped’ and ‘Summer Crook Neck’. This variety was the first squash to ripen in my garden; the plant grew very fast and eventually reached about eight feet in width and length and about four feet in height. The plant likes full sun if possible and good air circulation. The squash fruits are keeping well, but I have not cooked any yet. If you are saving seed from squashes, remember that the four species of squash will cross with one another , except that C. maxima does not cross with C. mixta or C. pepo. This means that to keep an heirloom or any open-pollinated variety true each kind must be isolated (grown separately) by 1 1/2 to 2 miles, unless you have plantings of one variety each of C. mixta and C. pepo, which cannot cross-pollinate. Potatoes are native to the Americas where they were an important food in ancient times. In the area once ruled by the Inca civilization hundreds of varieties of the common potato, Solanum tuberosum, were developed before colonization in the 1500s. A limited number of varieties of potato arrived in Europe soon after. The first illustration above is from Gerard’s The Herball of 1596 and depicts a plant and tuber of the sweet potato, Ipomoea batatus. He mentions that the plants he grew originated from stock collected in Peru. His plants did not flower and died when frosts killed them, causing the tubers to rot. As sweet potatoes are a tropical plant they rarely flower in cool, northern gardens and have to be harvested before hard frosts. Gerard also mentions the use of sweet potatoes as food: it is interesting that so long ago people boiled them with prunes, or roasted them with hot coals. 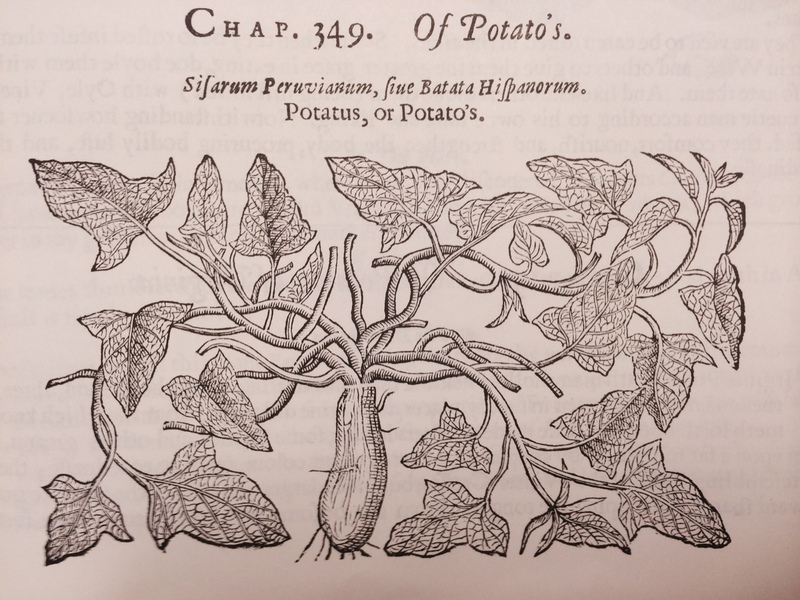 The second illustration is also from Gerard’s Herball and shows the common, starchy potato. 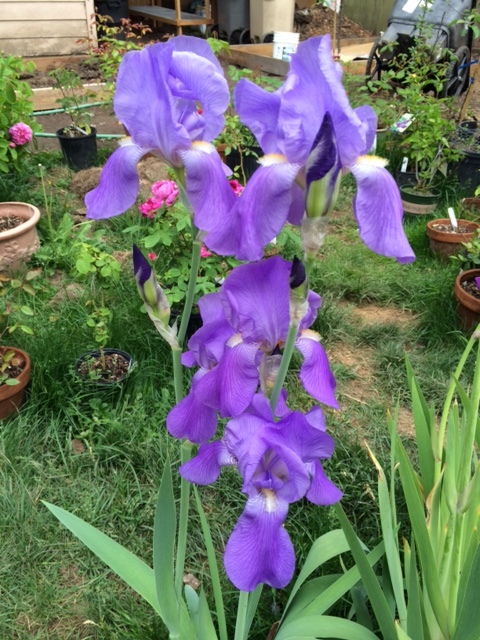 He obtained the plants from Virginia. He mentions boiling the potatoes and serving them with vinegar and oil, and discusses roasting them. 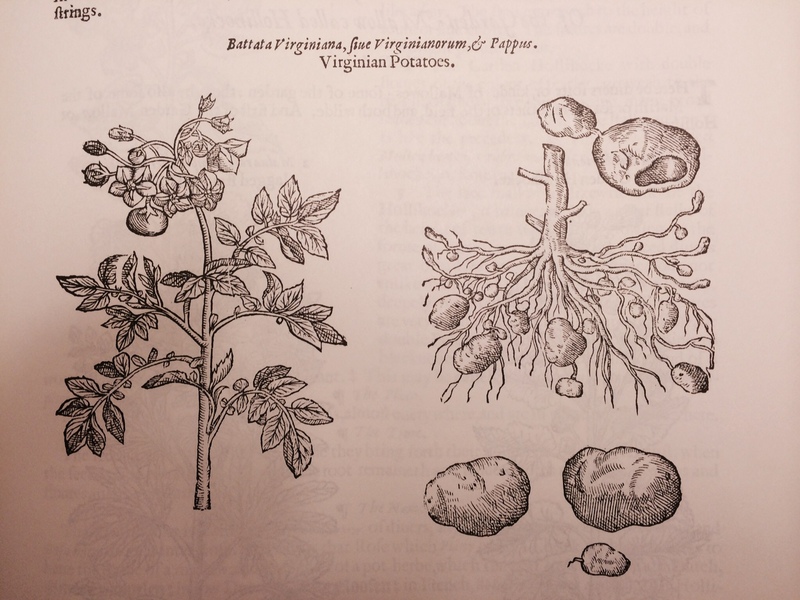 The general cultivation of potatoes in Europe was delayed through the sixteenth and seventeenth centuries, because the plants closely resemble poisonous nightshade. (Tomatoes, potatoes, eggplant and nightshade are all members of the Solanaceae family of plants). The Royal Society of London experimented with growing and eating potatoes in the seventeenth century; they realized potatoes would be an excellent, productive food for the poor. Something was needed at the time to supplement periodic losses of grain crops. 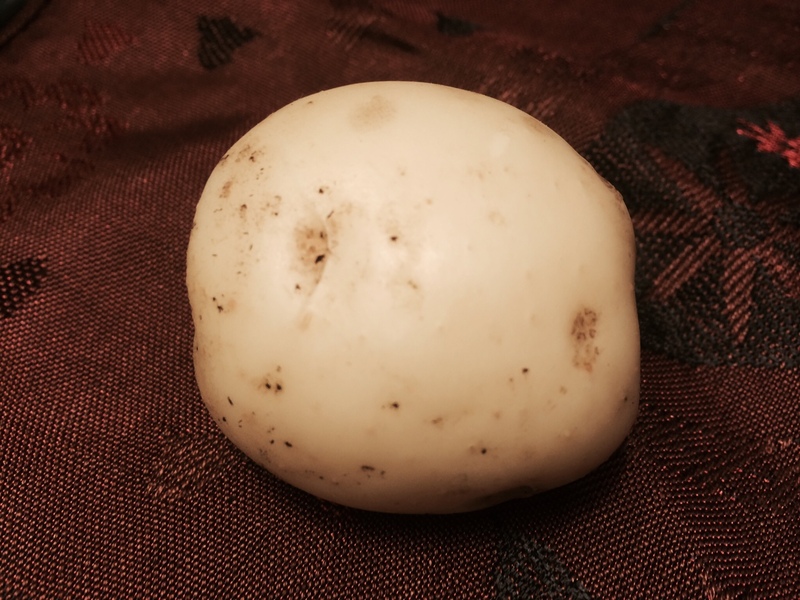 Potatoes arrived in Ireland early, possibly introduced by Sir Walter Raleigh. Because of their productivity, nutrition and adaptation to the cool climate, potatoes soon became popular in Ireland. This situation continued for generations as potatoes became the food staple in Ireland; often poor people had only potatoes to eat. A problem arose in the 1840s with diseases increasing, affecting almost all of the potatoes grown there. Grain was commonly exported from Ireland at that time, so there was little to eat. Starvation became widespread and more than one million people died. One reason for the extent of the blight is that only three clones of potato were grown in Ireland at that time. This situation highlights an important factor in food production: a need for diversity in cropping. This is one vital reason to save open-pollinated heirloom vegetables and antique fruit and flower varieties for future generations. As a result of the Great Potato Famine, new disease resistant varieties were sought. A reward of $10,000.00 was offered by the Commonwealth of Massachusetts to anyone who discovered a potato resistant to diseases. 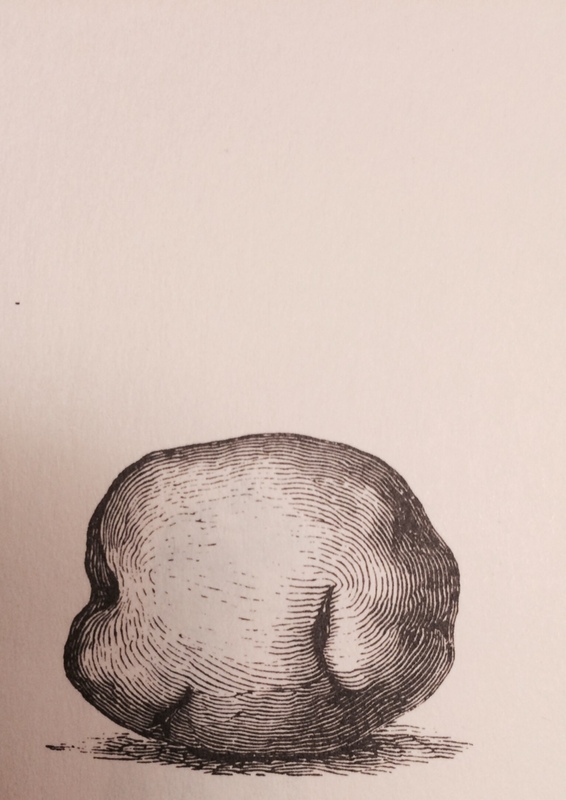 The third picture above is of ‘Garnet Chili’ potato from 1853, produced by Reverend Chauncy Goodrich of New York. He crossed several locally grown potatoes with a variety brought to the U.S. from Chile to create the truly blight-resistant ‘Garnet Chili’. It is still available today from specialist growers. I plan to grow ‘Garnet Chili’ in 2016, along with ‘Green Mountain’, dating to 1885, and ‘Irish Cobbler’, from 1876. All of these varieties keep well, are productive, nutritious and disease resistant. 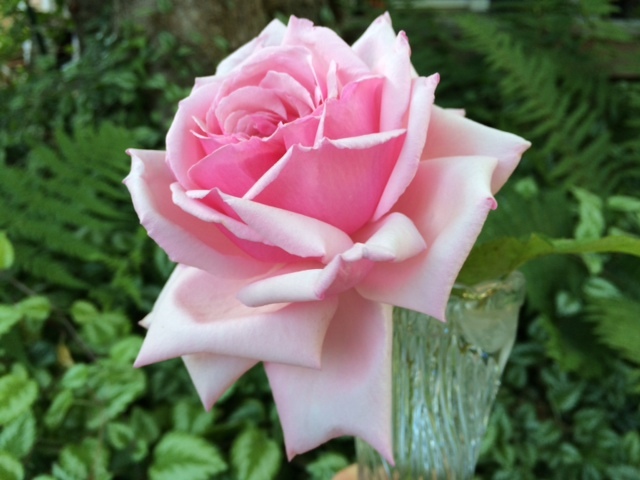 The last picture above (in color) is of ‘Irish Cobbler’ from my garden. The plants produced well this summer, though the tops died early, perhaps because of our unusually hot summer this year. ‘Irish Cobbler’ makes excellent boiled, roasted and mashed potatoes. As a baked potato the texture seemed a bit too mealy; another variety might be superior for baking. I recommend trying and preserving these antique potatoes. To keep them from year to year, plant them in a different location each year, with at least a four year rotation. Destroy any diseased plants right away and replant the best tubers typical of the kind you are saving. Store them unwashed in a dark place at 40 to 50 degrees with about 90% humidity. Good air circulation is important, so put them in boxes or sacks. They should keep for five to six months, but check for rot every so often. In the nineteenth century several types of China asters were grown. Shirley Hibberd, a British author, in his 1871 gardening guide The Amateur’s Flower Garden, considered the best seed strains to be ‘Peony-flowered,’ ‘Chrysanthemum-flowered’ and ‘Quilled.’ At that time many different strains were available that have since disappeared, including two types with striped flowers. 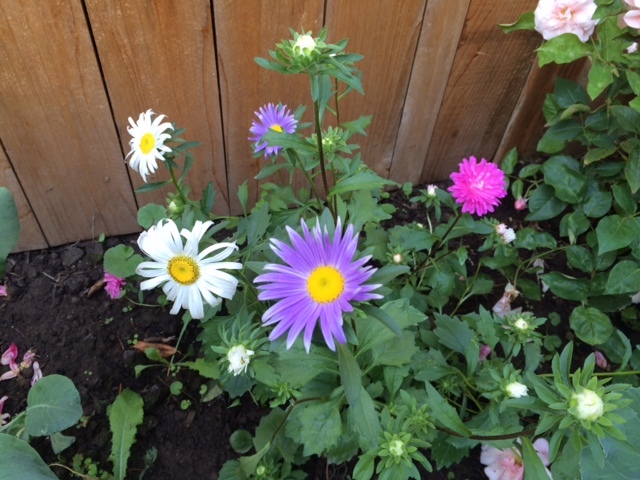 This year I grew a strain of China asters from about 1900 named ‘Crego Mix’. The colors are beautiful and clear, the flowers single to double and they are great for cutting. The plants of this variety grow about 24 inches tall. Another antique strain, ‘California Giants’ from 1899, is also available today. The culture of these plants is not difficult. Seed can be direct-sown about the time of the last frost if your season is not too short. Another option is to start them inside at about 68 degrees, then transplant when one inch tall into flats. Plant out when three inches tall, about six inches apart. 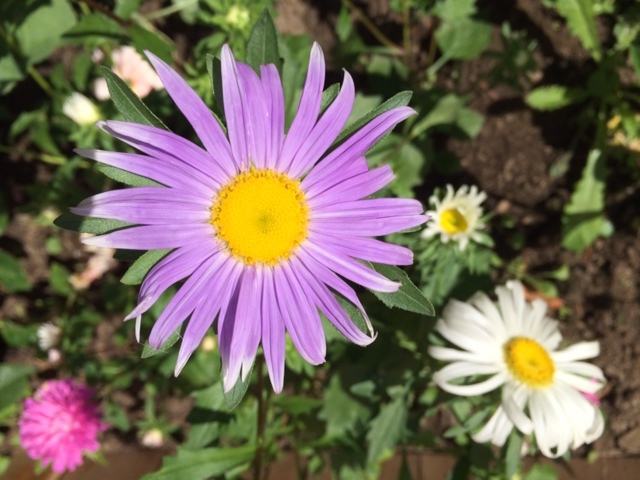 An important detail to remember is to plant China asters in different places in the garden each year; this is a similar rotation as is used for vegetables, so three or four years must elapse before they are planted in the same location. 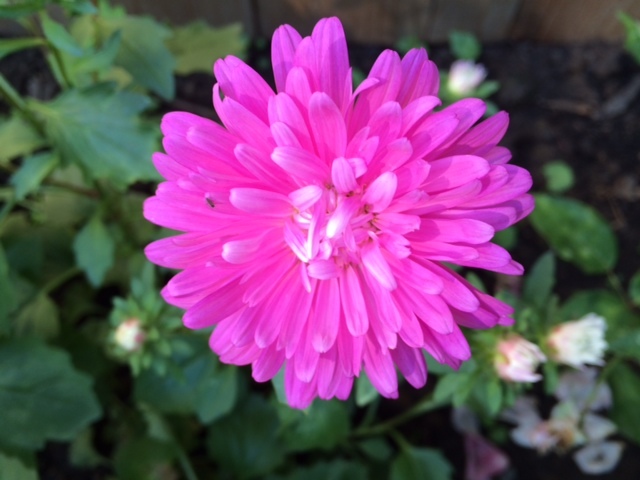 China asters make truly beautiful cut flowers; my aunt sold them in bunches at a farmer’s market in Montana for several years. She grew them in long rows. I do recommend growing these lovely flowers! Seed can be saved and planted the next year to preserve the antique varieties.